2: Some of the listed capacity on a Flash storage device is used for formatting and other functions and thus is not available for data storage. As such, the actual available capacity for data storage is less than what is listed on the products. while NTFS is compatible with Windows but semi-compatible with Mac OS. Please format it properly if need. Thank you for choosing the SUNDATA products.If you are not happy with our products, please do not hesitate to contact with us. 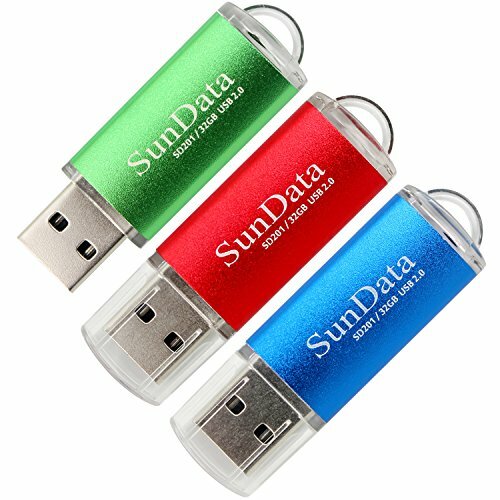 If you have any questions about this product by SunData, contact us by completing and submitting the form below. If you are looking for a specif part number, please include it with your message.